​An online and freely-available course about the fundamentals of additive manufacturing (AM) is now available, following the conclusion of the EU MachinE Tool Alliance for Skills (METALS) project. METALS has been supported by a comprehensive partnership spanning three countries – Germany, Italy and Spain – and embraced key stakeholders in AM workforce development, from industry and vocational training institutes, to local training regulators and research bodies. The initiative aimed to increase the competitiveness of the European machine tool industry by providing the sector with the skills needed to benefit from new disruptive technologies. Following surveys, workshops and interviews with machine tool experts from all over Europe, METALS partners concluded that in the portfolio of innovative technologies in the machine tool sector, AM is a key area for training since it is on the verge of industrialisation. The project also set out to raise policymakers’ awareness about the importance of AM skills for the European advanced manufacturing sector. 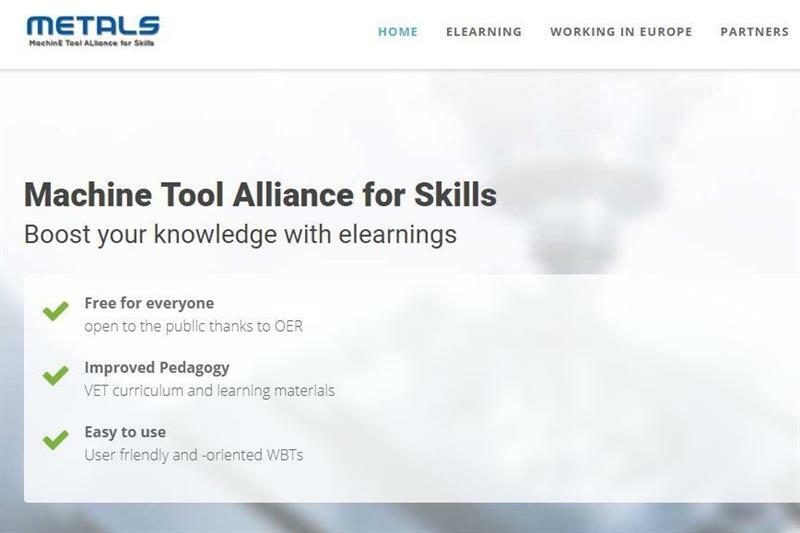 METALS developed a position paper, calling on Vocational Education and Training (VET) regulatory bodies across Europe to shape robust training programmes for AM-skilled workers, and for relevant national accreditation agencies to give priority to AM skills in their respective systems. The paper also calls for promoting the attractiveness of VET and to increase funding at the disposal of VET institutes for the purchase of necessary technical equipment in the field of AM.